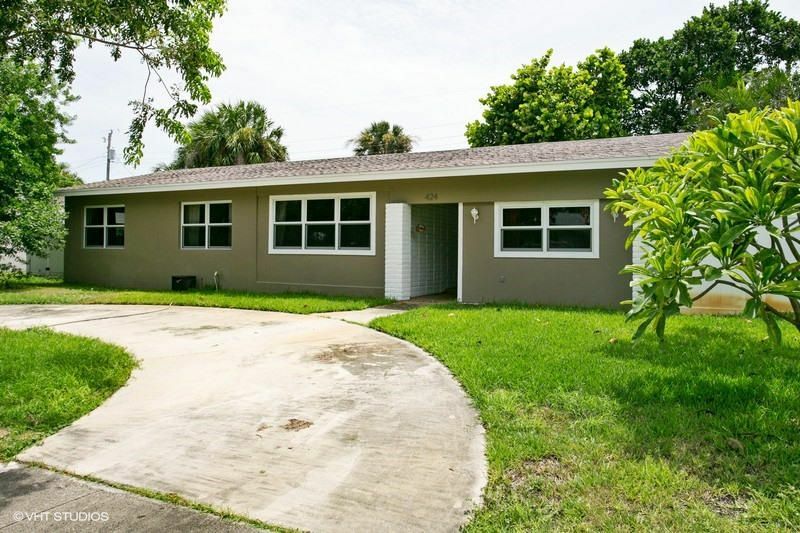 Four bedroom/two bath great home in North Palm Village. Newly remodeled bathrooms with double shower heads and glass enclosure.Freshly painted neutral interior and new carpet! Impact glass windows. Concrete pad for RV or boat!.Exposed wooden beams in family room. Great bonus room for family gatherings, or playroom for kids. Well-kept home, neat and clean! The community of North Palm Beach Village features North Palm Beach Country Club including Jack Nicholas designed golf course, clubhouse, , swimming pool and tennis courts is just a short ride away. Close to beautiful beaches, numerous restaurants and great shopping nearby. North Palm Village is great for kids for all sports and maintains its beach- fisherman- town feel. Launch your boat on the close by ramp.